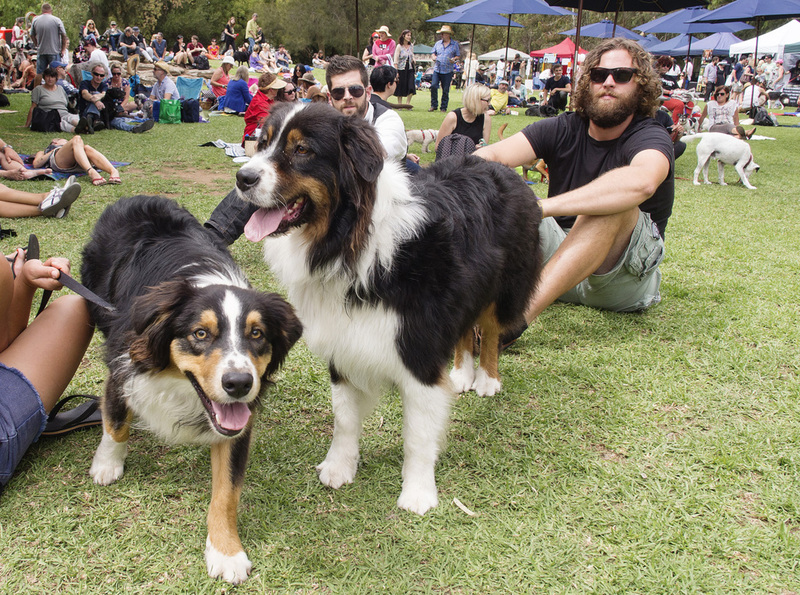 Dogapalooza Adelaide is a unique dog-friendly boutique music festival, part of the 2016 Adelaide Fringe Festival. This is a community event that all the family can enjoy including our canine friends. This charity concert event against animal cruelty raises money for animal advocacy groups and rescue shelters. This year’s line-up features performances from award-winning and popular Australian musicians Chris Finnen, The Yearlings, Nigel Wearne (Vic), Kelly Menhennett, Cal Williams Jr. and The Wisps, who will perform on the green lawns of Orphanage Park, Millswood. 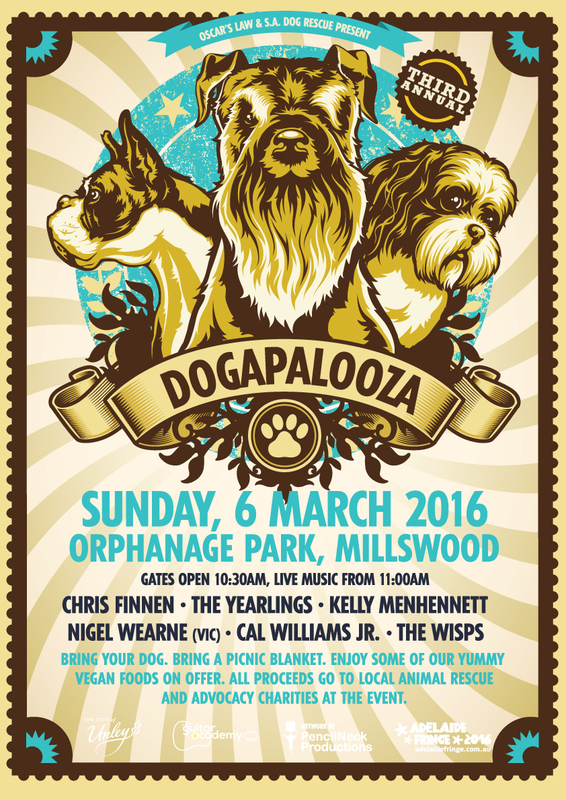 Dogapalooza co-founder Renae Eden said “We’re so excited to present such a fantastic line up of artists who have all generously donated their time to join us and help raise funds for such worthy causes”. 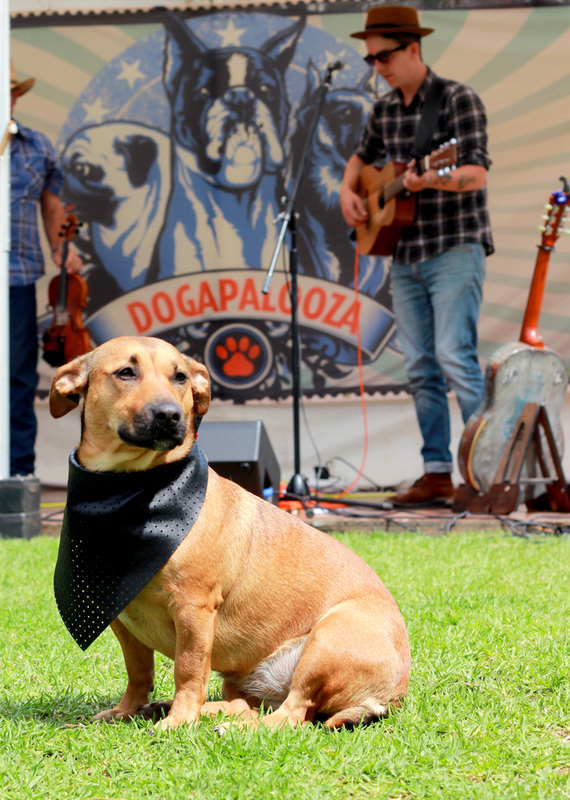 Proceeds from Dogapalooza 2016 will be donated to two major not-for-profits, SA Dog Rescue and Oscar’s Law. A selection of other animal rescue and advocacy organisations will also benefit from this event. Dogapalooza is presented by Oscar’s Law, SA Dog Rescue and the City of Unley, in addition to a contingent of dedicated volunteers. Both four-legged and two-legged attendees will have a selection of ethical foods on offer, as well as the dog loving stalls of our beneficiary rescue and advocacy groups and boutique commercial dog product vendors. All vendors present at the event are donating a portion of their sales to the fundraising pool. All proceeds raised will be donated to SA Dog Rescue, Oscar’s Law, Guardian Angel Animal Rescue, SA Greyhound Adoption, Alaskan Malamute Rehoming Aid Aust, Wombat Awareness Organisation, Freedom Hill Animal Sanctuary, Animals Australia and Animal Justice Party.